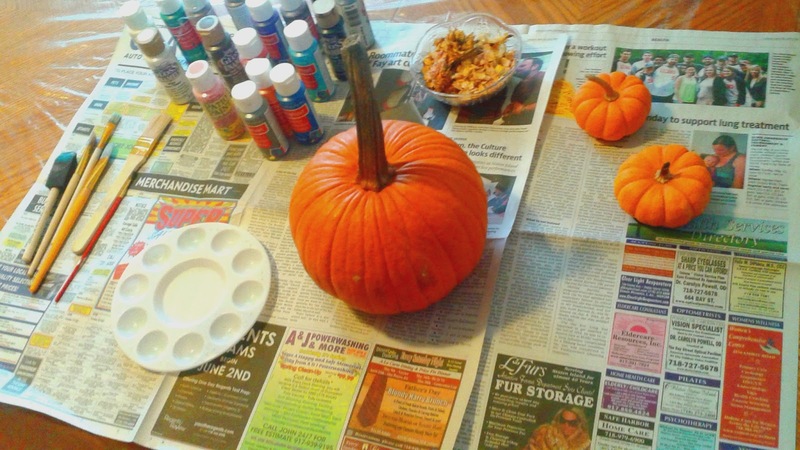 Pumpkins, paints, and brushes, oh my! For me, it isn't autumn until I decorate a pumpkin. Since carving pumpkins can get messy and tiring, I opted for painting some instead. Plus, painted pumpkins make amazing centerpieces for tables. So, if you're looking for a way to spruce up your table or desk, get painting! Take your white and red acrylic paint and mix it together on the paint palette to create a dark pink. In another area on the palette, take your white paint and mix it with the red paint to create a light pink color. Make sure you have some regular red paint handy in the palette too. 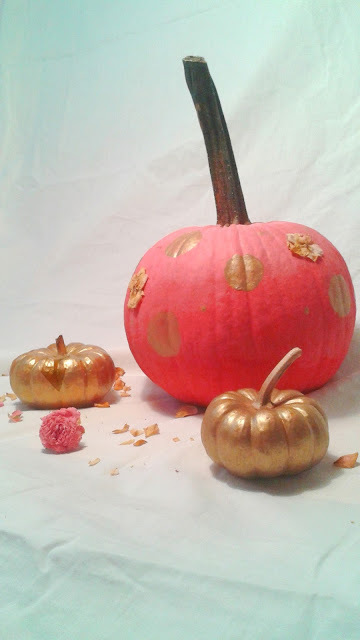 Grab a large paint brush and coat the top of the pumpkin in the light pink paint. Clean the brush off by dipping it into the glass of water, then coat the center of the pumpkin with the dark pink paint. Clean the brush off by dipping it in the glass of water again, then paint the base of your pumpkin red. To make sure all three colors don't clash, blend all three shades well by using a clean paint brush. 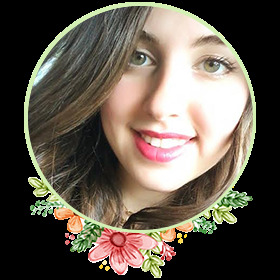 The aim is to create an ombre-effect. Once your pumpkin dries, take a medium sized brush, dip it in the gold paint, and make as many circles on your pumpkin as you like. 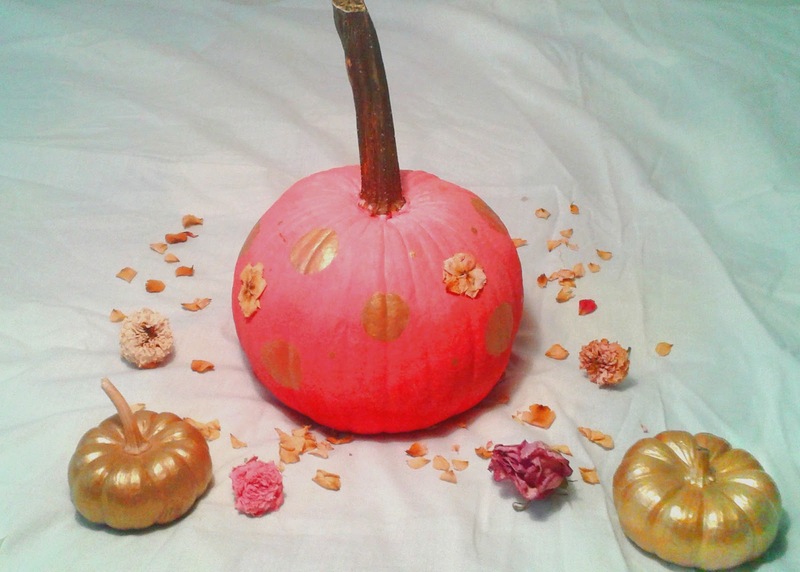 Take a small paint brush and add little dots onto your pumpkin using the same gold paint. Go dot crazy and add as many as you want! Plug the glue gun in and get your dried flower petals ready. The goal is to recreate 'flowers' on your pumpkin. This step is optional, but it adds a nice three dimensional look to your pumpkin. Grab a flower petal, put a dot of glue at the base, and glue it onto the pumpkin. Repeat this step in a clockwise motion until you think it looks like a flower. Make sure all the petals touch at the base of the petal and create a center for the 'flower'. You can make as many 'flowers' as you want, but I only made three on my pumpkin. Grab your medium brush, dip it in the gold acrylic paint, and coat the first pumpkin in it. To make sure you get the pumpkin evenly, coat the top, let it dry, coat the bottom, and then tilt it on its side. This way, the wet paint at the bottom won't stick to the newspaper. Repeat the first step on the second small pumpkin. Add a second coat of paint to each pumpkin to create a more vibrant, solid color.